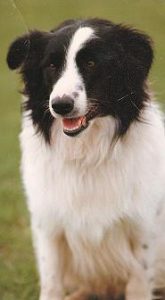 Gill White named her border collie rescue in loving memory of her most beloved Border Collie, Spot. The last of a litter of 6 puppies born at the White Cottage – the home of The Border Collie Spot – Gill had to breathe into his lungs to bring him to life. That was the start of a long and wonderful relationship spanning 15 years. Spot was a very special dog and he and Gill were devoted to each other. Gill trained him to the highest level in obedience, working right up to Championship class. This organisation has been founded for the rescue, care and adoption of unwanted, abandoned and abused border collies. We hope you enjoy the page ‘Spotted!’. It’s dedicated to your collie photos, stories, notices, tributes – in fact anything to do with border collies! We also have a Facebook page called The Spot Success Stories and Photos where you can share updates about your Spot collie(s).